A Mechanic for a commuter airline, CFI for hundreds of students, an expert witness in numerous court cases and almost every rating imaginable, Don’s career has been as varied as it gets. Today As President of Aviation Consulting Services Incorporated, from J3 Cubs to Boeings, Don enjoys helping buyers and pilots acquire safe aircraft. At 13, he started his trade and went to an aviation trades school in Manhattan, New York to become an airplane mechanic. 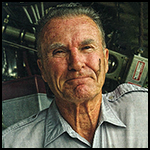 Don became a qualified airframe and power plant (A and P) mechanic at a young age of 17. He got drafted in the military further on in 1964 and that was where he got his first taste of flying. For Don, learning how to fly was easy back then, during the so-called “Wild West” in the air era. 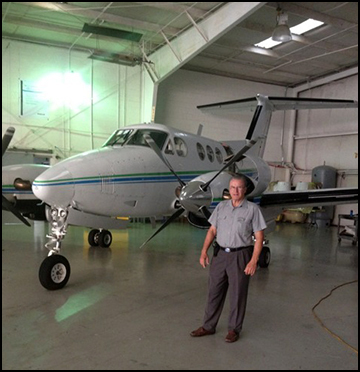 With his time in the military and work as a Chief Inspector, Don has basically flown almost all types of aircrafts; from single-engined aircrafts, to piston twins, turbo props, Cessna citation jets, single pilot planes, and even Boeings! When you’re a pilot, you become a better person. You’re more aware of the Earth and its environment. After his stint in the Military, he figured there’s little to be made by being an aircraft mechanic. Don made big money by driving trucks. He used his G.I. bill privilege to acquire his numerous flying ratings. Don was offered with an opportunity to become a ground safety instructor for Learjet but he did not take the job because of his big salary driving trucks. He eventually worked out his hours, working as a flight instructor, an A and P mechanic, and even sold airplanes on the side. Flew with Midsouth Airlines, a commuter airline that flies turboprop planes. 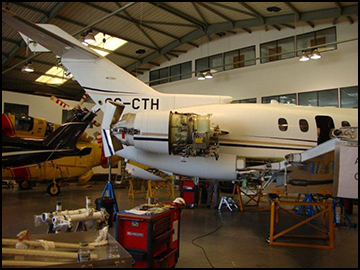 As an aviation mechanic, he had a lot of experiences doing pre-purchase inspections and flight testing which he had been doing for his clients. He found himself doing this for the past 38 years and loved it! Has already quit being an instructor to new pilots but his career in aviation went on. Don’s job today is on behalf of aircraft buyers, find defects, ‘squawks’ on aircraft to ensure quality and safety and closely collaborates with aircraft sellers, buyers, pilots and mechanics. Helping a lot of buyers to find the right aircraft. Since his clients are located all over the world, Dan makes more pre-purchase surveys over the telephone, fax, email, skype, and google voice. He loves doing pre-purchase surveys so much, he wants to continue doing it until he gets really old. Aviation Links by Pilotfriend – It’s a great aviation resource of information and compilation of everything pilot-related. For Don, there is nothing more important of an aviation book than an airplane’s flight manual or the POH (Pilot Operating Handbook). Learning everything about your aircraft is important! Camcorder – His work as a Chief Inspector requires him to record what’s going on within the plane. Don needs to identify every squawks and defects in an aircraft to help not only the buyer mostly, but the seller as well. He also strongly suggests to give “Don Sebastian prebuy aviation” a Google search and you’d find him easily.